What are the biggest tech advances from the 2017 CES? 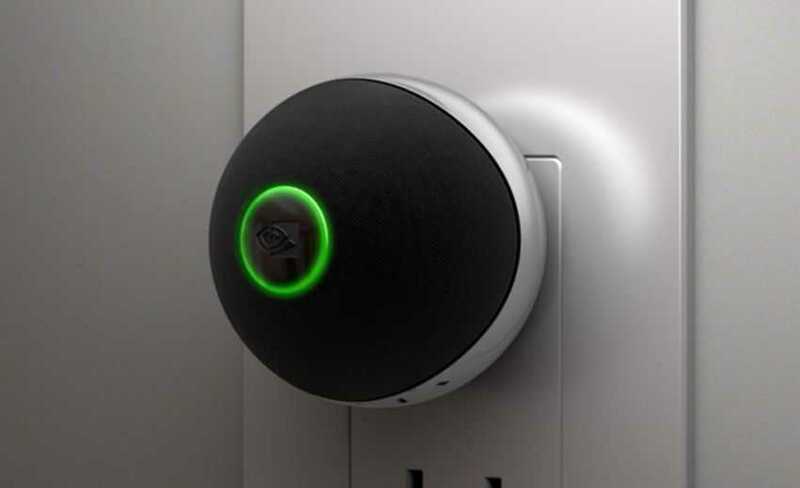 Top gadget companies have gathered at CES, the planet’s largest technology expo, to show off their newest goods. It’s a time for the strange, the experimental and the crazy. Some of the gadgets on show will probably never make it to a wide market, while others will one day soon be in everyone's home or pocket. We take a look at the trends that matter. Your phone is already so ‘smart’ that it’s annoying. So the next frontier of uber-connectivity is your home. Two years ago Amazon released Echo, a smart speaker that uses Alexa to take your orders in natural language (‘put milk on the shopping list’ or ‘play my favourite song’). It’s been a quiet revolution, but this year Alexa exploded on the scene. Lenovo released a cheaper copy of the Echo called the Smart Assistant, while LG built a small robot that uses Alexa. Both LG and Samsung installed Alexa into fridges (so, yes, you can talk to your fridge). But Alexa/Echo isn’t the only game in town: Nvidia revealed Spot, a series of small smart speakers that uses Google’s voice assistant. You can plug these into any outlet and they will take your orders. So get ready: this may be the year when our homes start talking back! Check out LG's connected fridge in this video. We’ve been hearing about connected cars more and more. Chances are that your new car already has a lot of connected features in it, especially if you bought something more expensive than your average bread bin. But can you talk to your car? That is the next big ambition of technology and automotive companies: say what you need and your car delivers. Skip the song, answer the phone, take down notes, read back your email… these are things that modern phones can handle. Now we will see them in some cars. 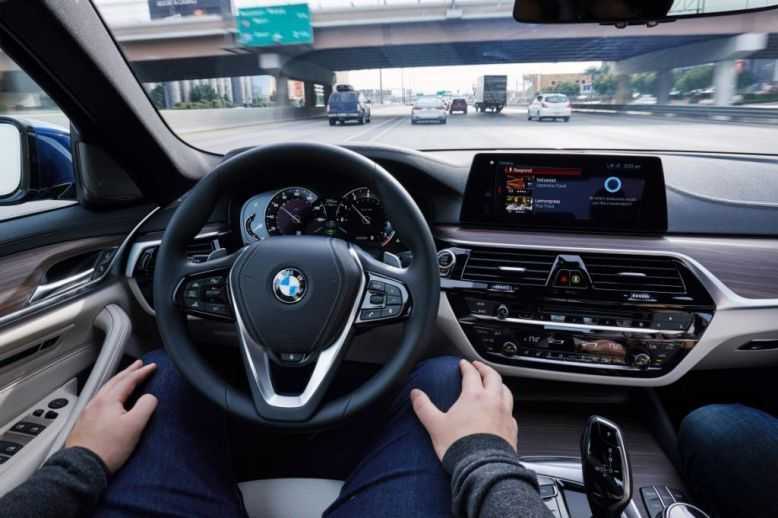 Nissan and BMW both announced that they will be trying Microsoft’s Cortana voice assistant in their cars. Not to be outdone, Ford and Volkswagen are trying out Amazon’s Alexa in theirs. See how Nissan is using Cortana in their Morana in this video. Oh virtual reality, how you tease us. To experience VR for yourself, in Joburg visit the Nexus in Randburg, in Cape Town, visit Virtualworld in Claremont. It’s amazing stuff. Top quality kit is still really expensive to buy, and for many people, offers little more than gaming and gimmicks. The latter will change once prices fall and CES had several companies keen to improve VR’s prices. ODG created natural-looking glasses that can display VR content and does not need to be attached to a computer or gaming console. It’s still far away from taking over the world, but at least VR appears to be growing up. 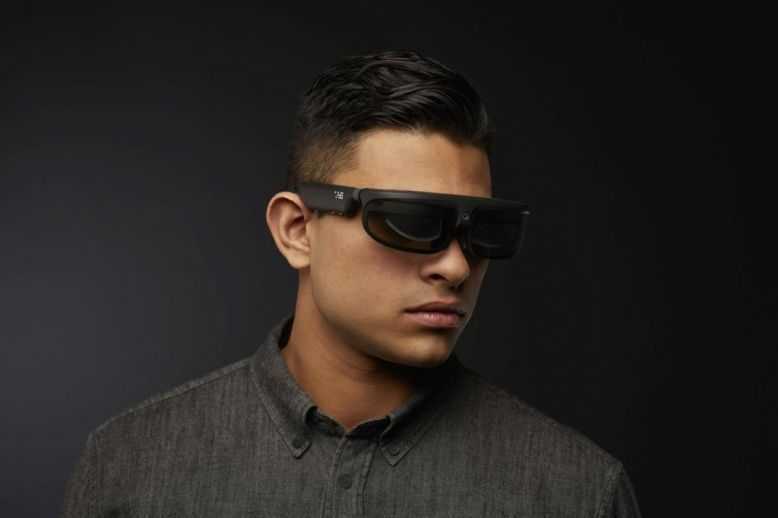 Check out ODG's futuristic glasses here. Have you been seeing more drones around you lately? Some are so small they fit in a child’s hand, while others are sophisticated enough to fly themselves and take photos of your favourite mountain range. Drones have matured to a point that they are both great and affordable: the perfect point for gadget success! But hold onto your hats, because at CES the drone world just got better. Draco is a new racing drone that costs less than a family’s monthly grocery bill. It can reach speeds of up to 160 km/h and is designed to be modular, so easy to repair. Need something to take photos at your party? The Hover Camera Passport drone does exactly that. Several drones, such as the Mola UFO, can be folded up for easy storage. 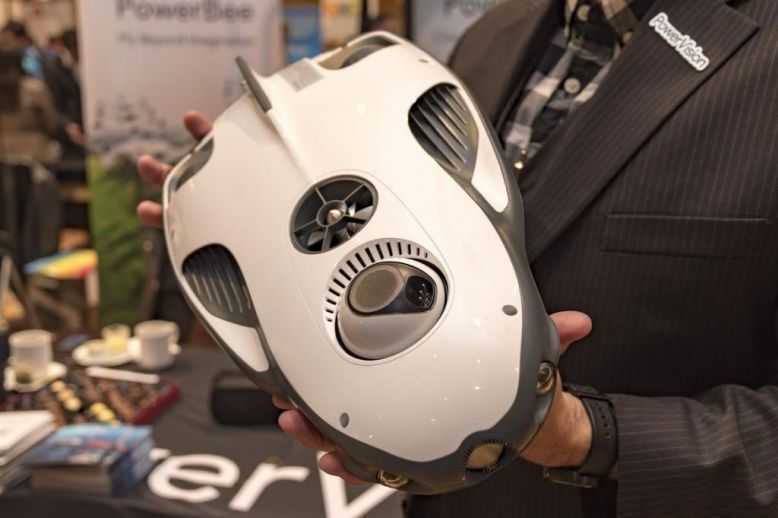 But we’ll leave the final word to the PowerVision PowerRay, an underwater drone which looks like it was sent from the future. 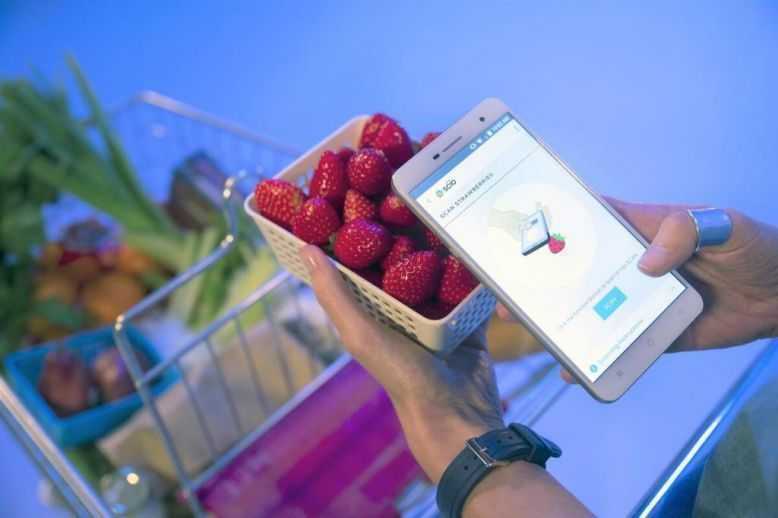 Your phone may soon be able to tell you the content of your next snack. Are those strawberries still edible? Is there gluten in this bread? Is the unmarked pill you found for your headache a painkiller or a laxative? Changhong, along with Consumer Physics, revealed a prototype phone at CES that hopes to answer those. Using a built-in spectrometer, the new H2 phone can analyse the molecular composition of whatever it scans. This is cutting-edge stuff and may not appear in mainstream phones for a few more years. But it is the next step in smartphones, which already have lots of sensors we don’t really use properly. Smartphones are also getting texture… on their screens. Tanvas is a new technology that lets you touch your screen and feel texture, such as material, and Blitab is a tablet that converts text into braille right on the screen.